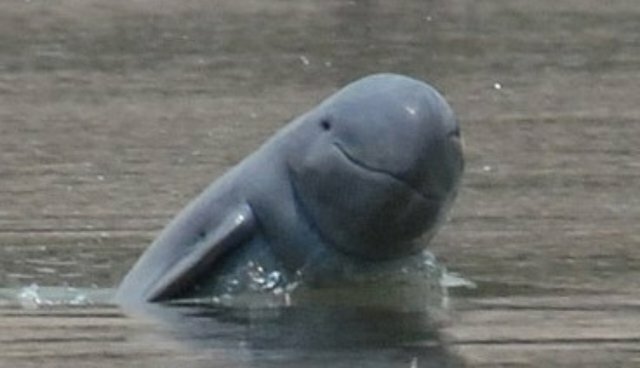 The Lao government is planning to build a 260-megawatt Don Sahong dam that would wipe out the nearby population of endangered Irrawaddy dolphins, a species known for their distinctive bulbous head shape. The construction of the dam, which is slated to be built in the 2.5-mile Mekong River, will involve excavating millions of tons of rock using explosives, creating underwater sound waves expected to kill nearby sea life, including dolphins. Conservationists are pushing back on the project already. "Plans to construct the Don Sahong dam in a channel immediately upstream from these dolphins will likely hasten their disappearance from the Mekong," said WWF-Cambodia's Country Director Chhith Sam Ath. Laos hopes that the dam will create revenue from hydropower, according to TIME. Harnessing hydropower potential is a major policy plinth for Laos' communist government, which boasts ambitious plans for up to 60 dams and intends to turn the landlocked nation into the "battery of Southeast Asia," according to Industry and Commerce Minister Nam Viyaketh. "We can sell our energy to our neighbors," he said during a 2010 interview. "Laos can be rich." While the species is officially listed as vulnerable by the IUCN Red List, certain populations are considered critically endangered. The population threatened by the dam consists of just 85 individual dolphins. Conservationists say that other alternatives, like another hydroelectricity source called the Thako Project, could generate the same amount of electricity as the dam but at lower cost and with far less impacts. Largely because it doesn't involve building a barrier across any of the channels of the Mekong. "It is not too late to suspend the Don Sahong project and consider smarter alternatives," said Gerry Ryan, technical advisor with WWF-Cambodia. "Building it will almost certainly cause the extirpation of their dolphins and threaten critical fisheries."